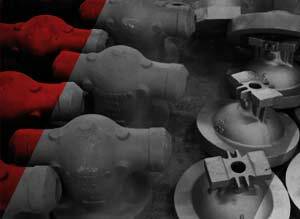 Ramsa produces castings for different world class valve OEMs. More than 70% of our production is pressure containing components. If you decide to buy a complete finished casting we can hydro test it so when you receive it, it is ready for assembly. Whether you need a low or high pressure gate valve, plug valve, ball valve, butterfly valve or globe valve type in WCB or high nickel alloy Ramsa has the extensive experience to meet the highest quality standards of this industry for both offshore and land based applications. Ramsa, with its superior technology and experience manufactures a wide variety of castings for severe environments of the petrochemical industry. Different type of plug headers, tube supports, brackets, hangers, u-bends and elbows are manufactured to withstand any type of environment. Ramsa produces a wide range of castings for multi-stage, end suction, double suction and vertical turbine pumps, in more than 100 different alloys. 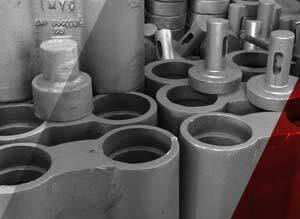 We specialize in casings, covers, bells, bowls and impellers. 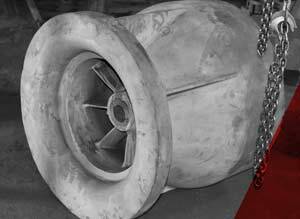 We are the only foundry in Mexico that utilizes Ceramic Molding and Investment Casting in the production of closed impellers up to 120 lbs. so you receive a superior finish casting, thus making us leader in this market. 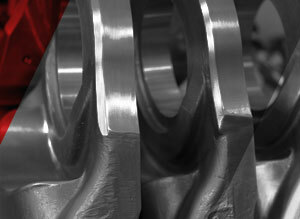 We can deliver machined and hydro tested casting ready for assembly. Casting components for Urban Transport Systems. Using our superior technology and experience we have transformed fabrications into reliable and safe casting components. Ramsa has the ability and the expertise to get together with the end users and help them solve their heat treatment challenges. 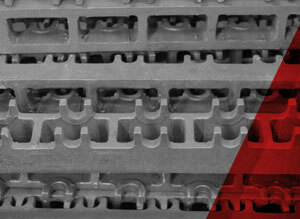 We can re-design furnace fixtures, baskets and trays and help you achieve more efficient heat treatment cycles.